The following reviews the basics of the Islamic (Ramadan), Jewish and Christian calendars. The calendar is based on the lunar cycle (based on the phases of the moon). New day in the Islamic calendar starts at sunset. All Muslim holidays are based on the Islamic calendar. The 12 Islamic months in the Islamic calendar are Muharram, Safar, Rabi’ al-awwal, Rabi’ al-thani, Jumada al-awwal, Jumada al-thani, Rajab, Sha’aban, Ramadan, Shawwal, Dhu al-Qi’dah and Dhu al-Hijjah. The Jewish calendar (Hebrew calendar) is based on lunisolar calendar (based on phases of the moon and the solar cycles). 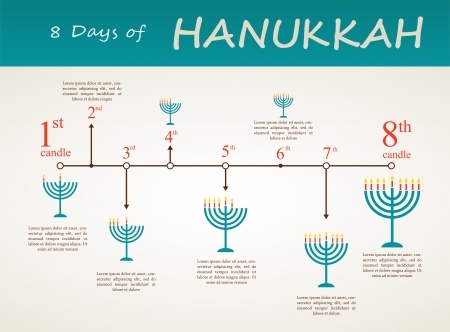 The calendar is based on the creation, which according to Jewish religion happened around 3760 BC. This calendar has anywhere between 353 to 385 days. New day in the Jewish calendar starts at sunset. The twelve regular months include: Nisan, Iyar, Sivan, Tammuz, Av, Elul, Tishrei, Marcheshvan, Kislev, Tevet, Shevat, and Adar. The years in this calendar are based on Jesus’s birth. So, according to Christians, “AD 2007” literally means “in the 2007’th year since the birth of Jesus. The Gregorian calendar comprises of 12 months, and 365 days (366 days in a leap year). The months in the Gregorian calendar are of 30 or 31 days with February having 28 days and 29 days in a leap year. New day in the Gregorian calendar starts at midnight. Gregorian calendar forms the basis of the current day’s calendar. Good and useful info. I had no idea about the Jewish Calendar. Many thanks. There are some additional things about the various calendars. Both the Islamic and Jewish calendars begin their months on the same day (namely the night of the crescent moon following the new moon and each month ends on the night of the new moon). This differs from the pagan calendar which is also lunar but each month begins on the night of the full moon. The Jewish calendar is essentially the calendar of Nippur a city in Ancient Sumer in Mesopotamia, which although lunar, resets the calendar by the addition of a thirteenth month so that each month always occurs in the same part of the solar year. The Islamic calendar lacks this adjustment to realign the calendar with the solar year which causes the Islamic months to move forward each solar year by a couple weeks each year. There is also a correction; the Gregorian calendar is divided between A.D. and B.C. The A.D. is an abbreviation for the Latin phrase Anno Domini which literally translates as “Year of our Lord”. This does refer to Jesus’ birth but is not actually in the translation of the phrase. The abbreviation B.C. stands for Before Christ, Christ being English for Kristos which is Greek for Messiah. I love this bit of addition, I used to hear that Isa alayhi salam was never called Jesus by his mother and had never heard it; now did he know the word Christ. so the injeel translator into Greek language translated his name. Regardless of a language, no one’s name should change in writing. Christians would rather check who they are worshipping. Thanks for clarification. Also, with all due respect, don’t forget to mention the pagan aspect of it! Basically, nature and creation worship. July: named after Julius Caesar in 44 B.C. August: named after Augustus Caesar in 8 B.C. Therefore, 2 months were added. And Jesus (Peace be upon him) is not born in December, even according to Christian scholars; he was born in a warmer time of year. Also, the days of the week used are of pagan connection too. And Easter is connected to Old English ?astre ; of Germanic origin and related to German Ostern and east. According to Bede the word is derived from ?astre, the name of a goddess associated with spring. He also said Allah in his own language of Aramaic. Type in God in the search field in any Aramaic lexicon or get a physical one and see. Aramaic Lexicon on link below on a Christian site by the way.Amazing! May Allah (God) Almighty Guide us all! Ameen (Amen). In-Sha’Allaah (God Willing)! Assalam alaekun. How many Muslims know about Islamic calendar? Or how many out of those who know do not think it is wrong to use it in the ‘Western world’. I say when are we going to stop being slaves of our own created fears?! christianity, judaism and islam have many simalarities but the belifs are diffrent. As you may know that all these religions are abrahamic cousions menaing they all belive in abraham. Matthew Collins’s information is quite useful. Thank you team for the useful article. I really feel happy to read your articles. This adds to knowledge and spiritual strength. I would like the efforts to be continued. wish all those happy and prosperous contributing in this noble mission. Thanks a lot fr sharing such wonderful asset. WHAT IS THIS LIFE IF FULL OF CARE. Shukran , you guys have widen up my knowledge . looking fwd from u all. assalamalaikum. thanks so much for the calendar information and thank you matthew collins for the addition and correction. 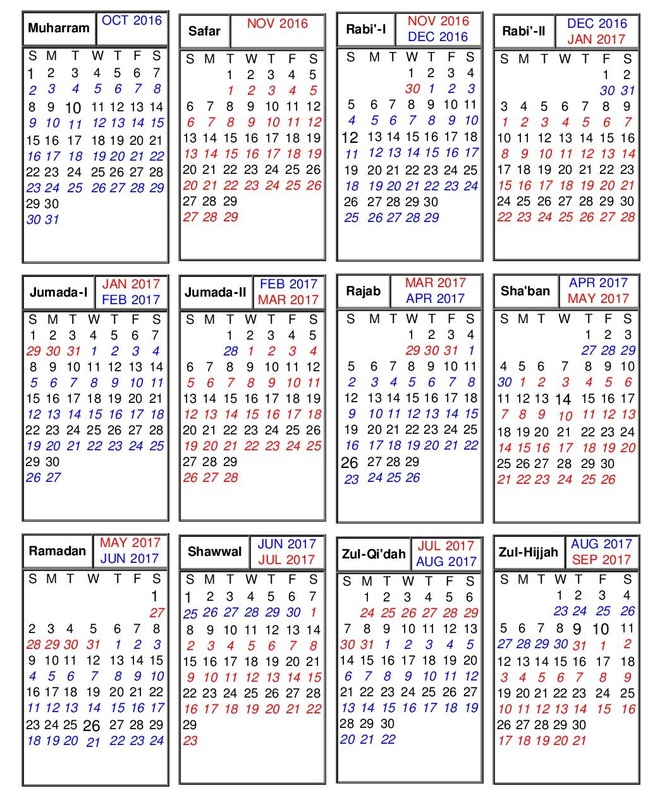 The most interesting thing about all the calendars is that the basis of each of them is as indicated in the Quran. Allah created the night and the day neither Christians nor Muslims did that. He also created the sun and the moon for counting number of days. Suratul Al An am chapter 6 verse 96. Is Faith in Allah sufficient to receive Allah’s blessings?